Greetings, bakers! It’s nearly the end of 2015, so I need to post all the last photos from our last two months of meetups. 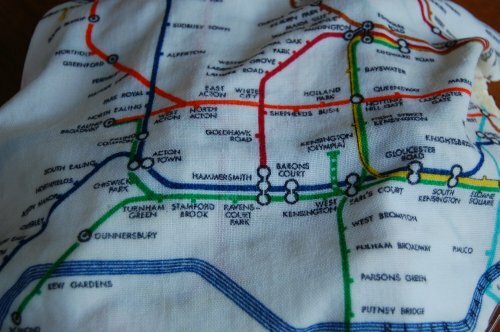 First, a note about January’s meetup. On Thursday, January 14th we return to the always beautiful Summerland Waterfront Resort for another Potluck and Movie night! The lovely Lisa J will again be our host and the theme will be “Healthy Potluck,” so dig through your recipes for a nourishing and delicious dish to bring along. The idea is to have another foodie movie, but what one? Julie and Julia? Chef? A documentary about sommeliers? Let me know in the comments below or email me your thoughts! Now let’s jump into December and the 3rd Annual Cookie Swap, hosted by the glorious Lisa L. Thank you, Lisa! 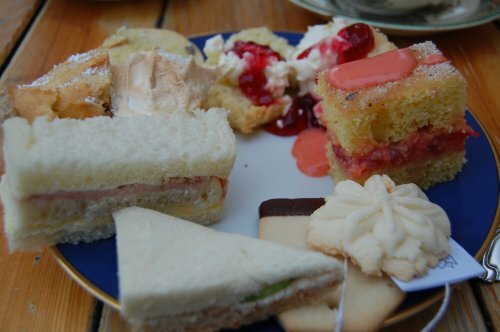 There were many treats and much tea. Below are the photos depicting all that we created and subsequently ate. Belinda’s Rugelach. 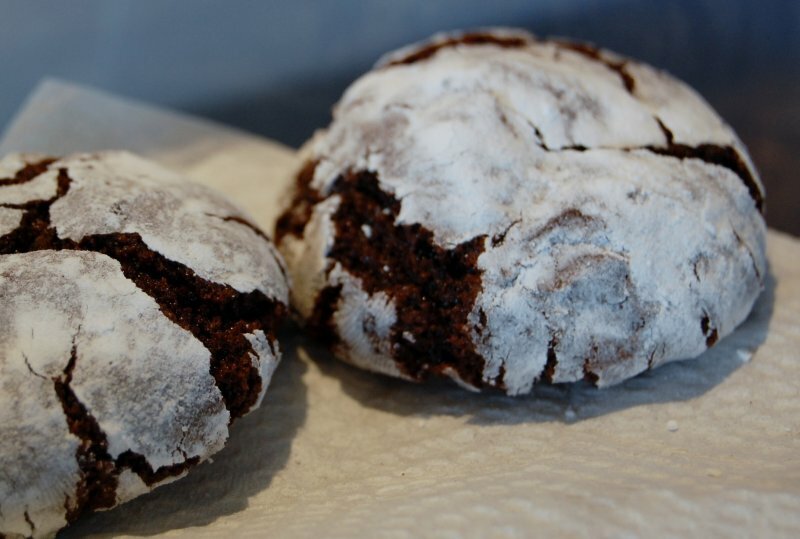 Rugelach is a Jewish pastry of Ashkenazic origin. 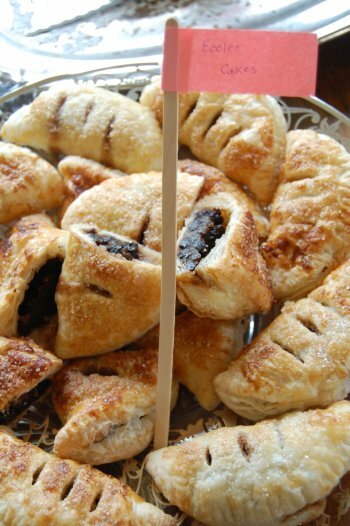 Traditional rugelach are made in the form of a crescent by rolling a triangle of dough around a filling. Okay – who made these glorious little creatures? I think it was Chantelle but I can’t remember what they were called. 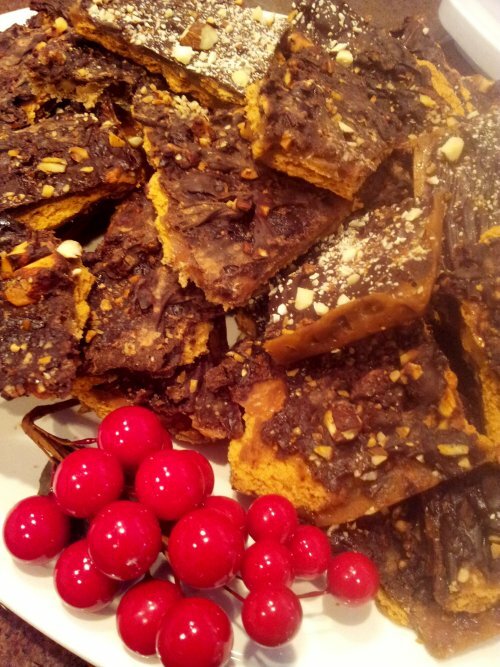 Janice’s date squares. The lady makes a mean date square, y’all. 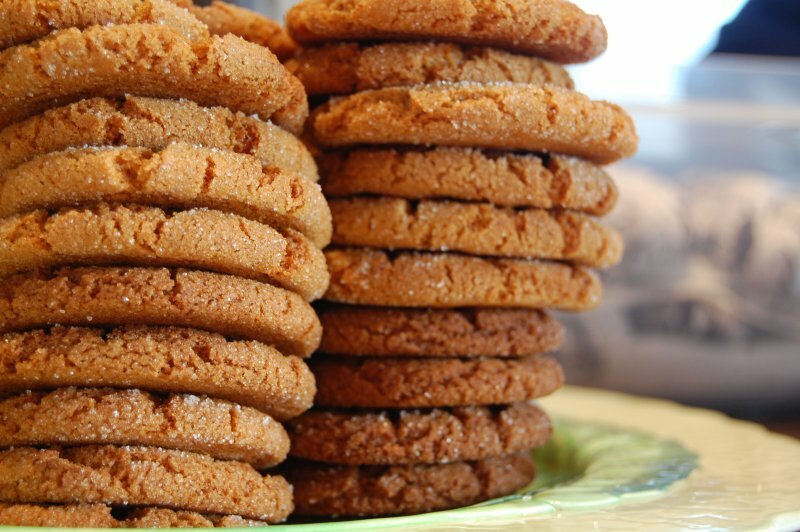 Someone made these delicious Ginger Snaps but I didn’t write down who it was. Was it you? 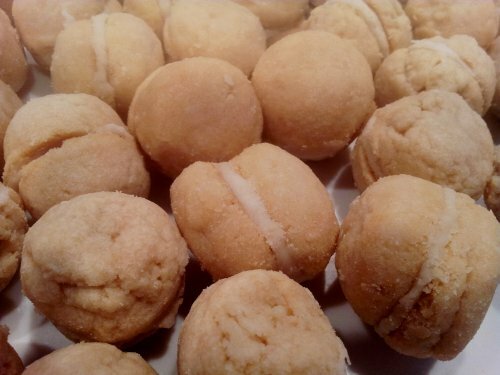 Lisa J’s Italian Orange Ricotta Cookies – very scone-like and excellent with coffee. 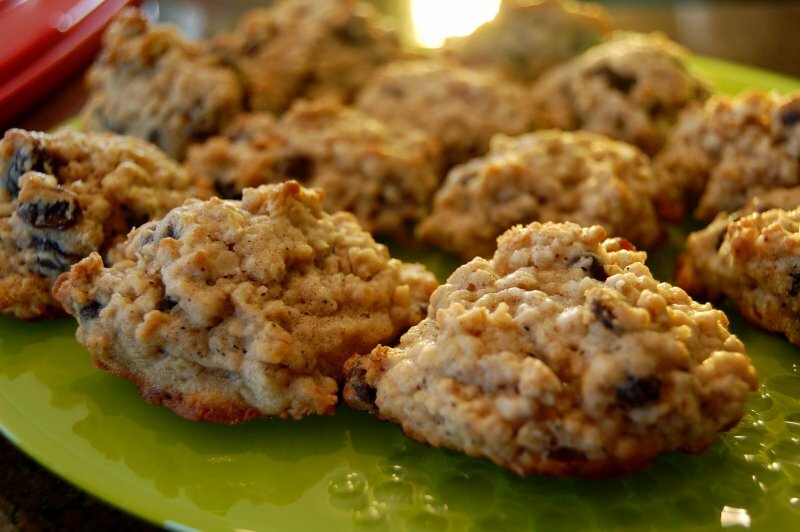 Lesley’s Oatmeal Orange Raisin Cookies. Lesley ended up bringing three different kinds of cookies, and we were obviously okay with that. 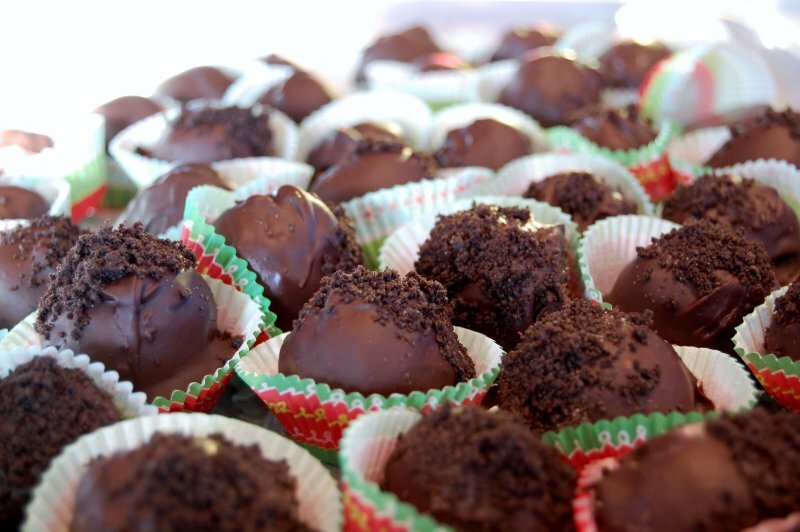 Jaclyn’s Oreo Cheesecake Truffles. Aren’t those the best three words put together? A very happy New Year to you and yours! 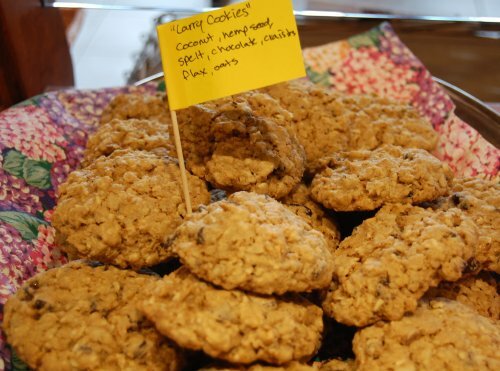 Because I’m behind on blogging, I thought we could round out 2014 with a collection of photos of the cookies we made for the 2nd annual Great Summerland Cookie Swap, which was hosted by the lovely Lisa L earlier this month. After much consideration, there will be some changes to this group in 2015. Not bad – just different. I will post about these changes in the next few days. For now, onto the cookies! I have photos of all of them except for Lucy’s Poudre Douce Butter Cookies, which I must have eaten before I remembered to take the picture. 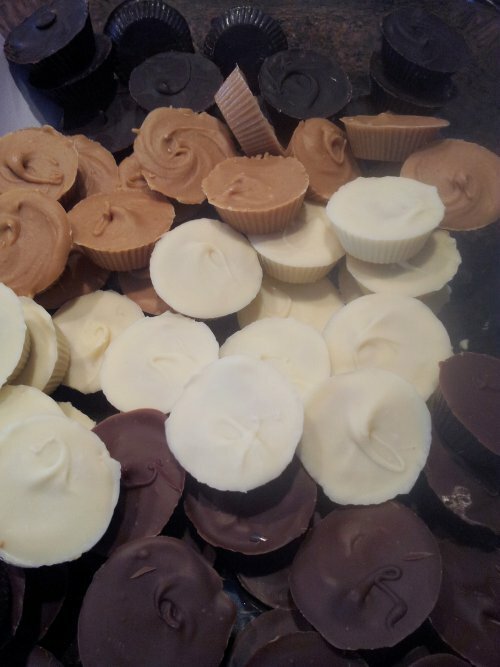 Trio of chocolate Peanut Butter Cups – I can’t remember who made these but they were delicious! Wendy’s Mock Almond Rocha with almonds and graham cracker crumbs. 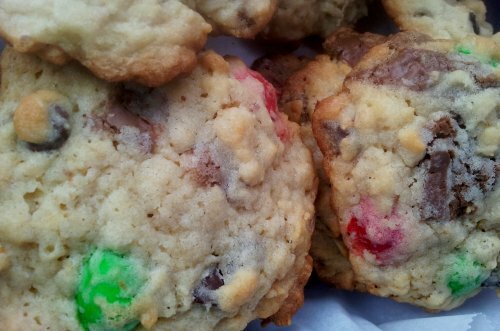 Donna & Daniel’s Melting Moments cookies. 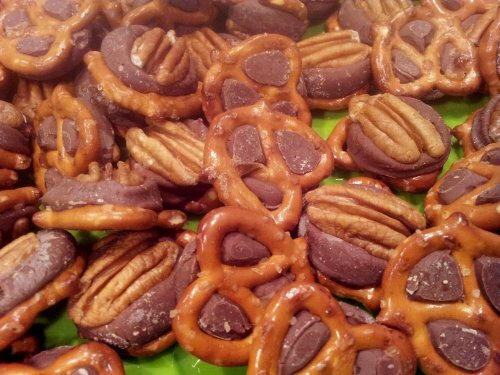 I can’t remember who made these little Chocolate Turtle Pretzel delights. I’m sorry it’s taken me so long to post these. Seeing them all again, I could certainly go for one of each. Before we begin, I hope to see you all at Thursday night’s gathering at Okanagan Crush Pad. 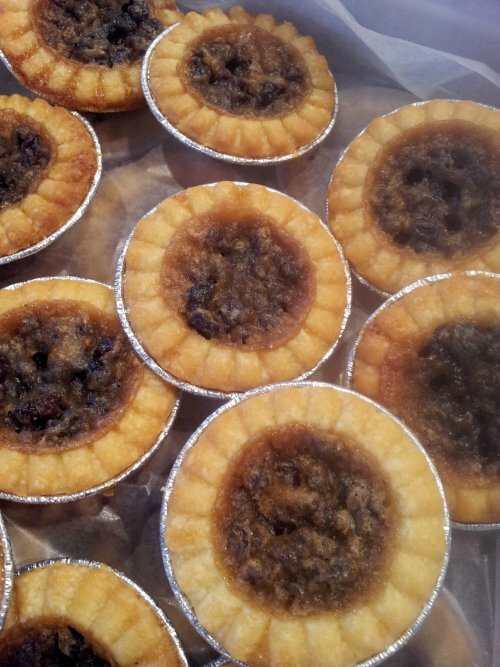 Choose from anything in the baking section from page 20 of the Fall Fair Guide. I think I shall be attempting a peach pie. Carpool: I have extra room if anyone needs a ride. Onto the recipes! We shall start with Kim’s Rhuberry Tiramisu. I had a photo of the pristine dessert before we dived in, but I preferred the one featuring delicious carnage. As you read Kim’s recipe and wonderful description below, hands up who would like a “From Valentine Farm” Guest blog? When it’s not gardening season, of course! Everyone is familiar with traditional Italian tiramisu – a rich dessert composed of cocoa, espresso, mascarpone cheese, whipping cream, lady fingers and, of course, alcohol. It turns out tiramisu is not that traditional after all, but a rather newish dessert dating back to the 70’s – that would be the 1970’s not the 1870’s. This recipe borrows from that classic tiramisu. 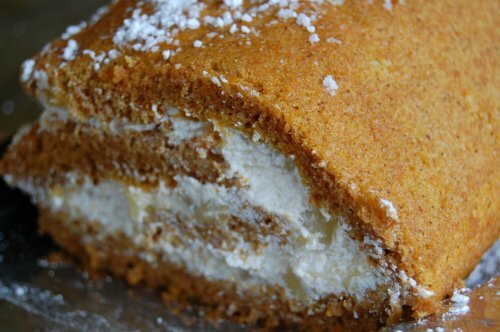 There are layers of cream and liquor soaked ladyfingers but that is where the similarity ends. This tirimsu uses raspberries and rhubarb. I bake my rhubarb rather than stew it. 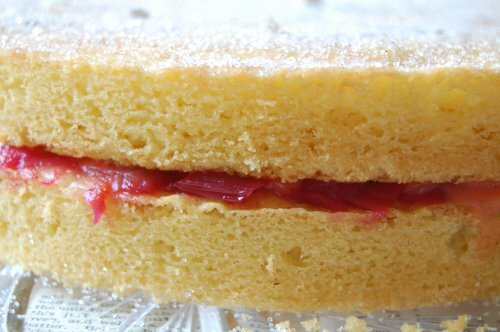 Baking yields perfectly cooked fruit that holds its shape rather than disintegrating into a mess o’ rhubarb. Even if you don’t get as far as making the tiramisu, you can simply serve the deliciously good baked rhubarb and call it dessert. Or breakfast. Preheat oven to 375°. 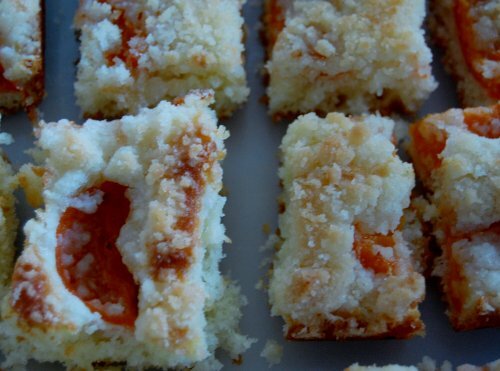 Combine rhubarb, orange juice and zest in a 9×13 inch baking dish. Rhubarb should cover bottom of pan in a single layer, more or less. Tuck cloves and vanilla bean in the rhubarb and bake for 30 minutes. Cool. Taste for sweetness. Place mascarpone and grated orange zest in a large bowl. Stir in 1⁄2 cup sugar and vanilla. In another bowl whip cream with 1 tbsp sugar until soft peaks form when beaters are lifted. Gently stir 1⁄4 of the whipped cream into the mascarpone. Then gently fold in the remaining whipped cream ensuring it is well mixed with no streaks of mascarpone. Mix orange juice with Cointreau in a shallow dish. Using one half the ladyfingers, dip both sides into the juice mixture and use them to line a 9 x 13-inch baking dish. Spread one half the mascapone mixture over the ladyfingers. Spread baked rhubarb over mascarpone. Dip remaining ladyfingers in orange juice mixture and repeat layering – dipped ladyfingers, mascarpone, raspberries. The raspberries will bleed but I like that look. Refrigerate for a minimum of six hours. Depending on the size of your dish, you may get some overflow as the tiramisu settles. 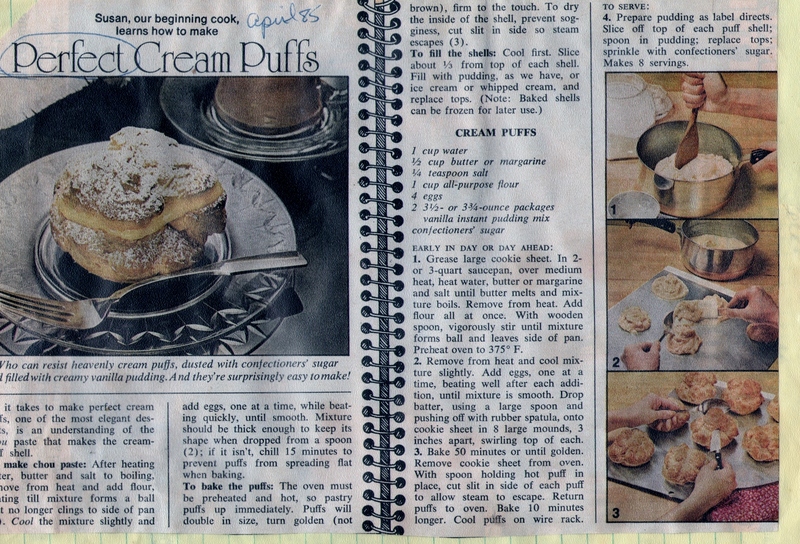 I have found that a standard 9×13-inch Pyrex baking dish is just a wee bit too small for this recipe. So, you can either put a cookie sheet under your dish to catch the overflow or, while preparing the layers, just eat some of the mascarpone mixture when no one is looking. This was so well loved, we all quickly devoured it and there weren’t any leftovers to speak of. Turn into soft dough, allow to rest in refrigerate from 2 to 36 hours before preparing the pie shell. Brush the pie shell with the white of an egg and prick it well. Put the custard mixture over it. Bake 35 to 40 minutes or until the top is golden brown, enjoy! Inspired by the simple cherry desserts from the Limousin region of France, this baked custard can be served warm or at room temperature. Feel free to use pitted or unpitted cherries. Preheat oven to 375°F. Generously butter shallow 1 1/2-quart glass or ceramic baking dish. Blend all ingredients (except cherries) in blender until smooth. Pour in to baking dish. Arrange cherries in custard. 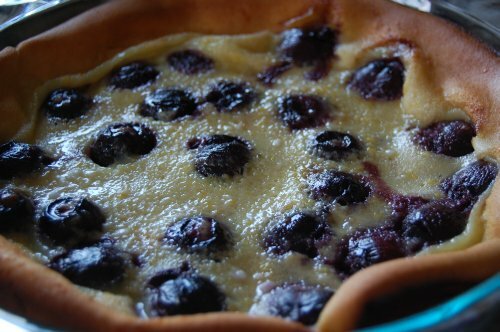 Bake clafoutis until custard is set and top is golden brown, about 45-55 minutes. Cool slightly then run a knife around pan sides to loosen clafoutis (if using a cake pan). Dust top with powdered sugar; cut into wedges and serve warm. This would be sooooo good in the winter with a good cup of tea. From Vanora: I could not find the traditional recipe from my grandmother, and so what follows is a recipes built from several I found on the web, none of which were exactly what I wanted. 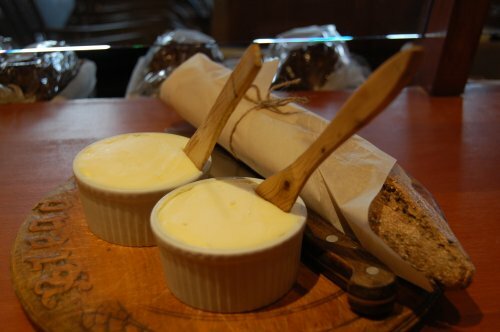 The original recipe called for Guernsey butter (Guernsey milk is distinctive in having a different protein, carotene and fat profile than other milks) or suet, neither of which I had on hand. The end result was more of a cross between a pudding and a cake, and wasn’t anything like I remember from childhood! Grease a shallow baking tin 7 ins square. Mix in ½ tsp salt, ¼ tsp of nutmeg, ¼ tsp of cinnamon, ¼ tsp of mixed spice (optional). Peel, core and quarter 1½ lb cooking apples. Drop the quarter pieces into a large bowl with ½ lb demerara sugar. Roughly chop the apples into the sugar (leaving them as quite large chunks) with a sharp knife – the juices will run and be directly absorbed by the sugar. Stir the apple and sugar mixture into the dry ingredients. Add 1 beaten egg, and mix. Pour into prepared tin. Level the top and sprinkle with a little more sugar and cinnamon if desired, for a crunchier top. 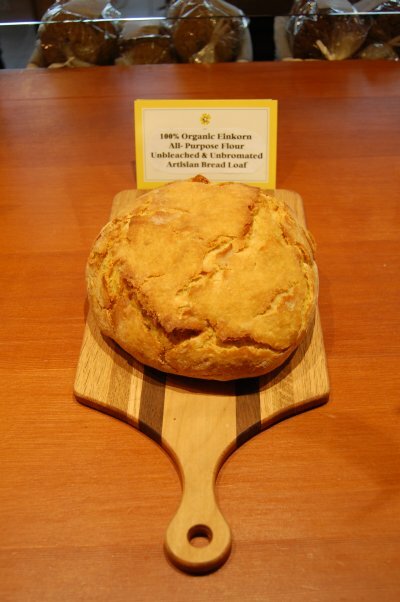 Bake in preheated oven 350°F for 30-40mins depending on depth of the mixture, until the top is a deep golden brown. Serve warm with thick cream or ice-cream. I cheated (We don’t care). I used a boxed cake mix (Still very delicious). 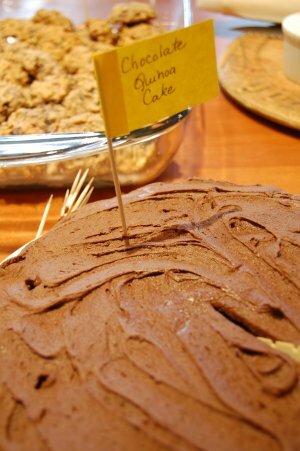 Made the cake and then called my German mother-in-law and asked her for a German name (Das ist sehr gut). 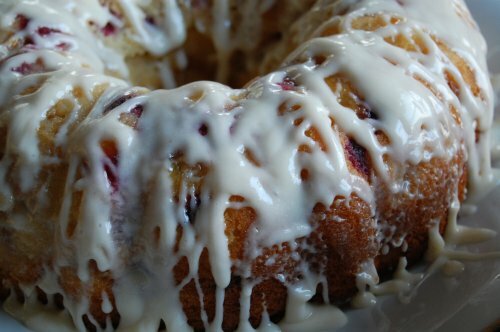 So, to the cake mix (I used French Vanilla but any kind will do), I added 3 eggs, 1/3 cup of melted butter, 1 can of chopped peaches drained, I cup of the juice from the peaches, 1/3 cup of sour cream, and raspberries. Mix cake mix with eggs, butter, sour cream, and juice. Fold in fruit. Pour into a greased bunt pan. Cook at 350 degrees for about 40 minutes. Check if it is done by inserting a knife to see if it comes out clean. While still warm, pour your favorite Summerland Sweets syrup. I used apricot. Once cooled, drizzle melted cream cheese frosting on top. Once again I am annoyed at myself for not capturing a photo of this dessert at the height of awesome, that is, drenched in this amazing sweet-and-tart sauce. So good. Throw it all in blender. Let sit for 1/2 hour. 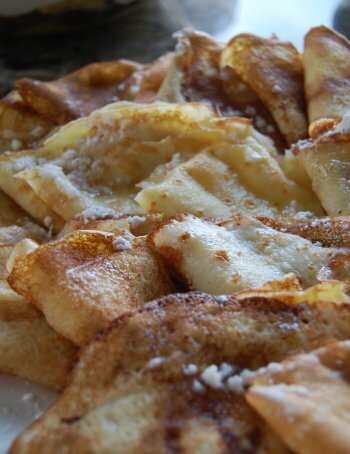 Then proceed to cook as crepes. 1/4 c batter into hot, lightly greased 8″ skillet. Cook til underside is lightly browned. Topping: Cook rhubarb and raspberries together with some sugar and cornstarch. The term “Orange Sticks” does not do justice to these buttery, orangey, chocolatey sticks of goodness. I only got to eat one of these. Perhaps Carmen could be convinced to make them as an additional Good Omens treat. Mmmmmmm? Preheat the oven to 350ºF. Line baking trays with parchment. In a large bowl, mix butter on high speed with mixer until fluffy. Add the powdered sugar, vanilla, salt, and orange zest until a dough forms. Slowly add egg yolks. On the slow setting of the mixer alternate adding the orange juice with the flour until all combined. Scraping down the sides of the bowl with a spatula when necessary. 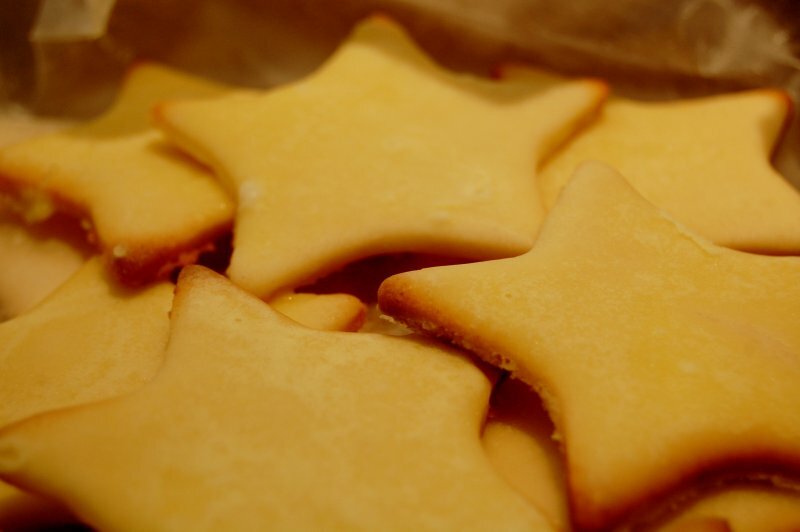 Scrape the batter into a large piping bag fitted with a large star tip. 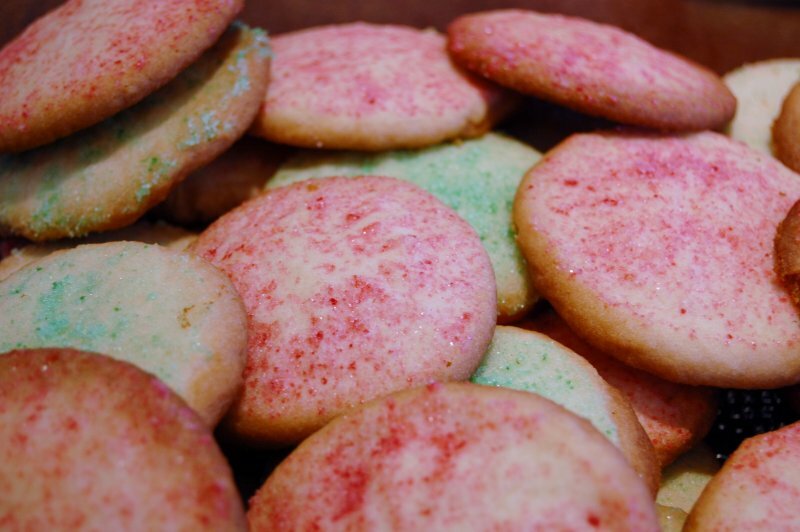 (About 1/2 inch size, not the regular small ones) Could also use a cookie press if you have for a different form. With the piping bag, pipe 6cm long strips onto the baking tray. Leave a 1/2 inch between each cookie. One the tray is full, bake for 8-10 minutes, until lightly browned. Continue with the rest of the batter. 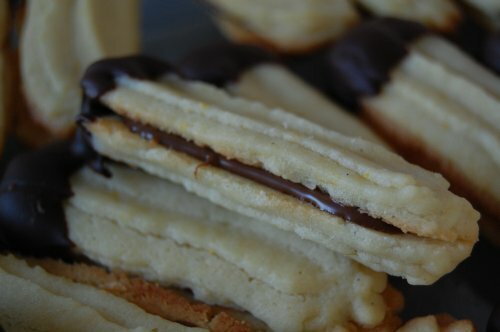 Once cookies are baked and cooled, sandwich Nutella between each pair of cookies. Refrigerate for a few minutes to harden. 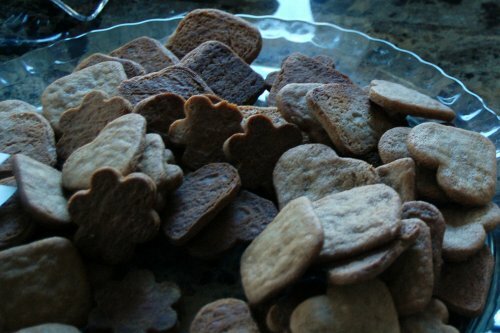 Melt some chocolate and then dip the ends of the sandwiched cookies in the chocolate. Place back on the parchment covered trays and refrigerate until harden. This goes to show that even when two bakers bake using the same recipe, the bakes won’t turn out the same, changed as they are by the bakers’ creativity. Chantelle opted for the more traditional looking Speculaas (also sometimes spelled Speculoos, otherwise known as Dutch Windmill or Biscoff cookies), while Jennifer, diving into the “bakes from abroad” theme, decided to create a “bake of broads.” They’re little ladies- get it!? Ha! Either way, they were delicious and wonderful with a cup of tea (which is how I consumed the leftovers I had snagged). 1. Line a baking sheet with parchment paper of a silpat. 3. Split the cookie dough in half. If you using the springerle rolling pin, roll the dough out until 1/2 inch thick with a plain rolling pin. Liberally dust the springerle pin with flour then roll over the dough, pressing firmly to make a 1/4 inch thick cookie dough, with imprint. Cut the dough along the springerle grid lines with a sharp knife or pizza cutter and place on the baking sheet. 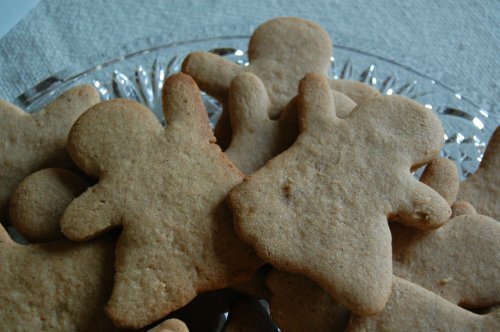 If using a traditional speculaas cookie mold, roll the dough until 1/2 thick with a plain rolling pin. Lightly spray the mold with cooking oil, then liberally dust with all purpose flour (knocking out any loose flour once you’ve dusted it). Press the dough into the mold, remove excess dough of the back of the mold and then carefully unmold it onto the baking sheet. 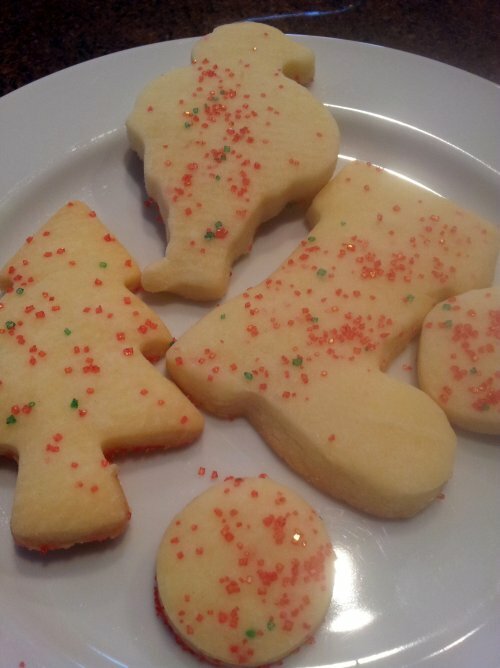 If using a cookie cutter, roll the dough out until 1/4 inch thick with a plain rolling pin and cut out cookies and place on the baking sheet. 4. Place the baking sheet in the refrigerator for 30 minutes. 10 minutes before the time is up, preheat the oven to 375˚F. 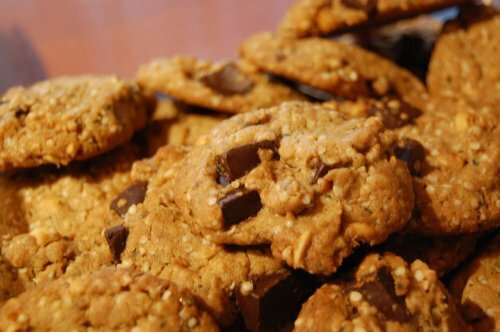 Bake the cookies in the oven 9-11 minutes or until the cookies look golden brown on the edges. 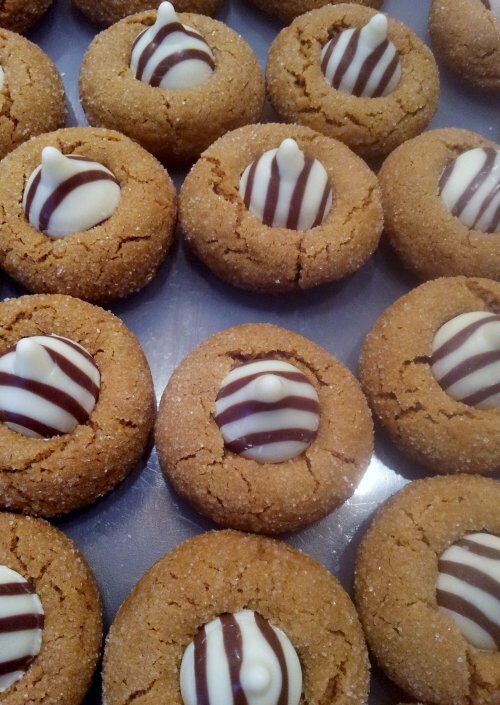 Let cool on the baking sheet for 10 minutes before moving the cookies to a wire rack to cool to room temperature. The cookies will harden as they cool. Look at this monster of a trifle (click for bigger version). Oh, someone give me a spoon. 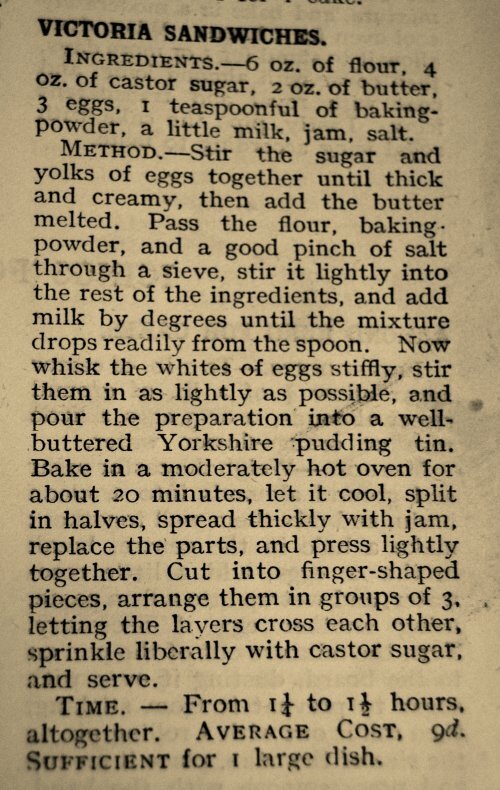 From Gerri: A trifle can be with anything – basically cake of some kind – I used pound cake and lemon loaf, soaked overnight in Limoncello or you could use Cointreau, brandy or your favourite liqueur. I made an egg custard in a double boiler with 1 cup milk, 1 cup whipping cream, 1 cup sugar, pinch of salt, 2 vanilla pods, split open and all this over boiling water until hot but NOT boiling. Meanwhile, beat the egg yolks until pale yellow, slowly pour in 1 cup of the hot mixture into the yolks, stirring vigorously all the while and then return egg & milk mixture to the pot, continue to cook about 15 minutes until mixture starts to thicken – but do not allow to boil or it will curdle. When mixture coats the back of a spoon, cool on counter and then in fridge until cold. Whip 1 cup cream, start with cake layer, add fruit in next layer, layer of custard, a layer of whipped cream and then start over with the cake, etc and then whip another 2 cups of whipping cream with sugar and vanilla to pile on top. 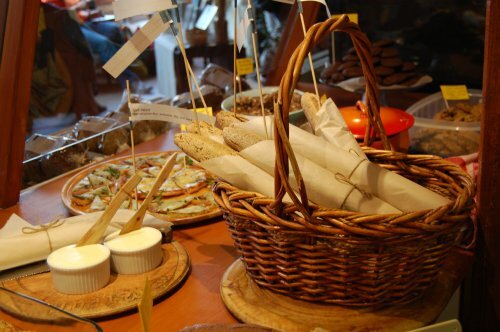 When surrounded by so much sweet stuff, it is a treat to dip into something savoury and fresh like this. From “Mama Never Cooked Like This” by Susan Mendelson, founder of The Lazy Gourmet. Puree potato and onion in a blender, then add to salted water and simmer for 45 minutes. Saute the leeks and onion in butter until soft. Add 4 cups of onion-potato stock, milk, and light cream, and mix thoroughly with a whisk. Refrigerate until cool. 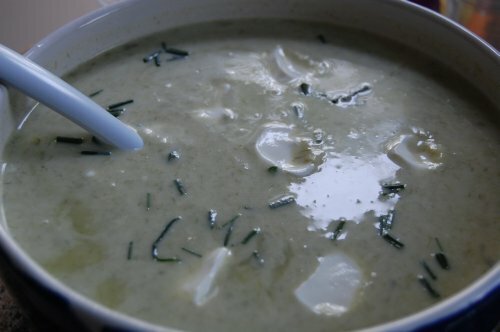 Before serving, add heavy cream and garnish with chives. (Apparently the blueberry version of this is even more glorious). Top with fruit – single layer fairly close together – for apricot I used about a dozen smaller apricots which I sliced in quarters. Any kind of fruit works – apples, blueberries, plums, peaches, rhubarb if you like it tart, or mixed fruit. For topping combine flour and sugar, mix in butter till crumbly. I use a mini food processor for this. Sprinkle over the fruit. Bake 350 for about 30 – 35 min. Top should be golden and cake baked through. If the top doesn’t seem to be browning well, I’ll give it a moment under the broiler at the end as my oven is very slow. If you used a 9×13 leave it a bit longer or check with a toothpick to make sure cake is baked through. Platz is best served the day it is baked as the sugar topping will be crunchier. The next day is still good but the topping will not be crispy anymore. If you want to be very traditional, insert a whole almond in the pudding and award a prize to the lucky recipient. Heat sugar, water, gelatin and salt in 2-quart saucepan, stirring constantly, until gelatin is dissolved, about 1 minute. Stir in milk, rice, and vanilla. Place saucepan in a bowl of iced water, stirring occasionally, until mixture mounds slightly when dropped from a spoon, about 15 minutes. Beat whipping cream in a chilled bowl until still. Fold whipped cream into a rice mixture. Pour into ungreased 1 ½-quart mould. Cover and refrigerate until firm, about 3 hours. 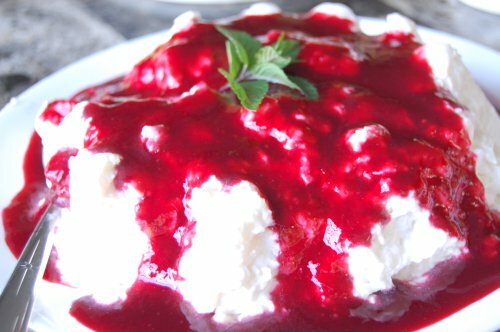 Unmold and serve with Raspberry Currant Sauce. 1 package (10 ounces) frozen raspberries, thawed. Heat raspberries (with syrup) and jelly to boiling Mix water and cornstarch, stir into raspberries. Heat to boiling, stirring constantly. Boil and stir 1 minute. Cool. Press through a sieve to remove seeds if desired. This is a Middle Eastern recipe is from Crazy Water Pickled Lemons by Diana Henry. 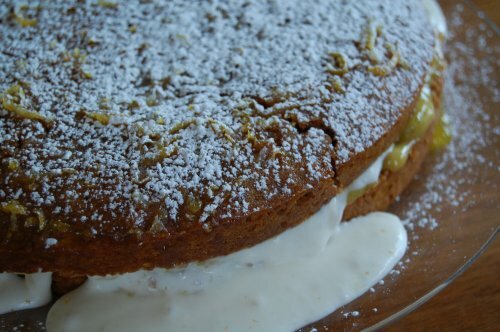 I was really pleased with this recipe – the cake is light and the syrupy apricots make it all the better. You just have to be careful not to over bake the apricots. Trust me on that one. 1. Butter an eight-inch spring form cake pan and line the base with baking parchment. Separate the eggs and beat the yolks together with half the sugar until pale and thick. Add the olive oil and the Moscato. Fold in flour and salt. 2. Beat the rest of the sugar with all the egg whites and the cream of tartar until they hold medium peaks. Fold into the egg and flour mixture and pour into the cake pan. Bake in an oven preheated to 350 F for 20 minutes, then turn down to 300F and bake for another 30 minutes. Turn off the oven, cover the cake with a circle of buttered paper, and leave it in the oven for a further 10 minutes. Remove and let the cake cool in its pan. 3. Halve the apricots and remove the stone. Put them in a single layer, skin-side up, in overlapping circles, in an ovenproof dish. Pour on the wine. Slit the vanilla pod along it’s length, scrape out the seeds and add these to the wine, along with the pod. 4. Spoon the sugar over the top and bake in an oven preheated to 350F for 20 minutes. The apricots should be soft and slightly caramelized on top. 5. 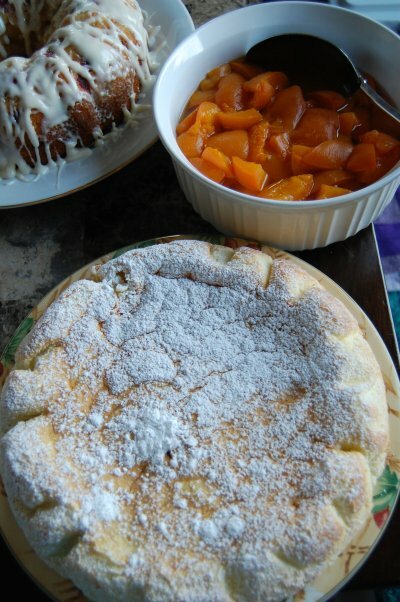 Sift some icing sugar over the cake and serve with the apricots, either chilled or at room temperature, with cream or mascarpone on the side. I didn’t get a chance to try one of these, and I’ve been filled with dismay and regret ever since. 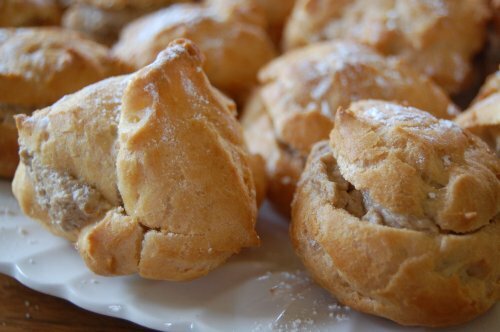 The recipe is called “Gougères Françoise Potel” and is found in Bistro Cooking by Patricia Wells: 200 Recipes Inspired by the Small Family Restaurants of France. Françoise Potel is a lively and energetic Burgundian lady, who along with her intense and serious husband, Gérard, makes a lovely, voluptuous, Volnay wine. 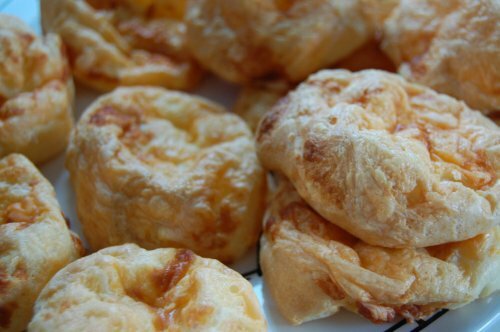 Each time I’ve visited their lovely estate, she’s offered warm-from-the-oven cheese puffs. These are great appetizers and go especially well with the red Burgundian wines. Combine salt, butter and 1 cup (25cl) of water in a medium saucepan. Bring to a boil over high heat, stirring all the while with a wooden spoon. Quickly remove the pan from the heat and add all of the flour at once. Beat vigorously with a large wooden spoon to create a smooth dough. Reheat for 1 minute over medium heat, stirring all the time, to allow the dough to dry out just a bit. Quickly transfer the dough to the bowl of an electic mixer. Add all of the eggs and half of the grated cheese and beat at medium speed until the eggs and cheese are thoroughly incorporated into the dough. The dough should still be warm. 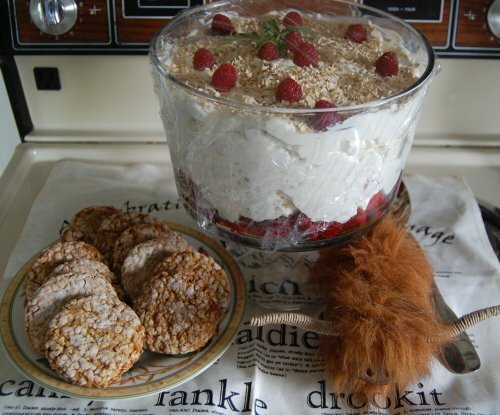 I did get to dig into Jean’s Scottish Cranachan Trifle, which I piled on a homemade oatcake. 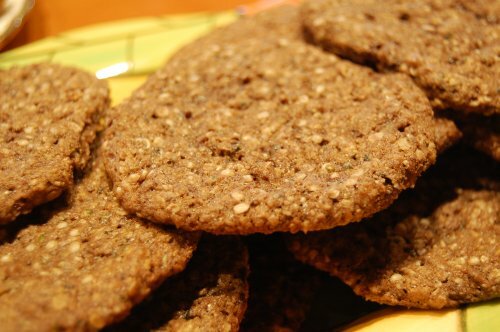 You have to pace yourself with oatcakes – you’ll be nibbling away and suddenly BAM! you’re so full you can’t move. 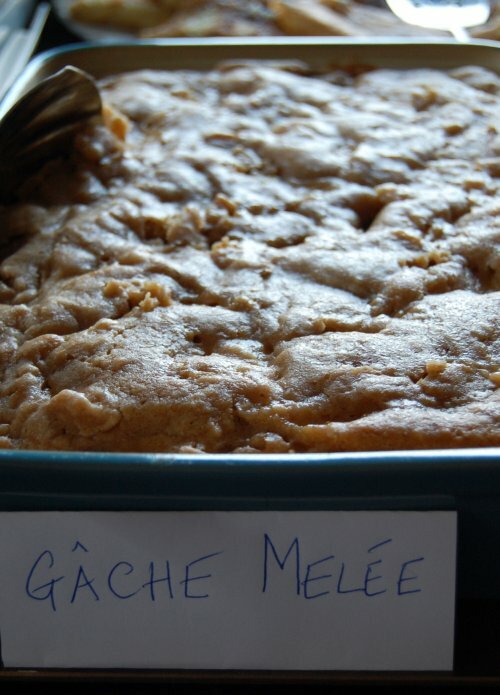 From Jean: I don’t have a recipe as such. Cranachan is usually put into individual glasses, but I made it as a trifle because it was easier to move. Toast a handful of oats (I used regular ones) in a frying pan carefully until you can smell them. Whip a couple of cups of whipping cream to which you add about 3/4 of the toasted oatmeal, a good splash of scotch, a bit of honey and a couple of handfuls of fresh raspberries. 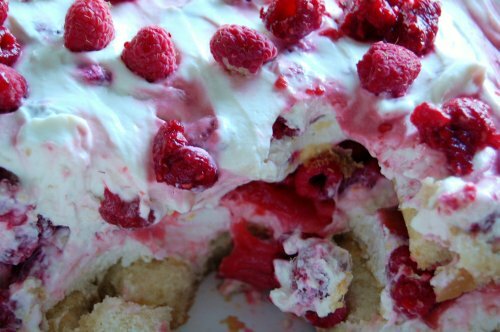 Layer with more raspberries on the bottom, top with the whipped cream mixture and sprinkle with remaining toasted oatmeal. Decorate with additional raspberries and a sprig of mint. I had no measurements – just went with what looked good! 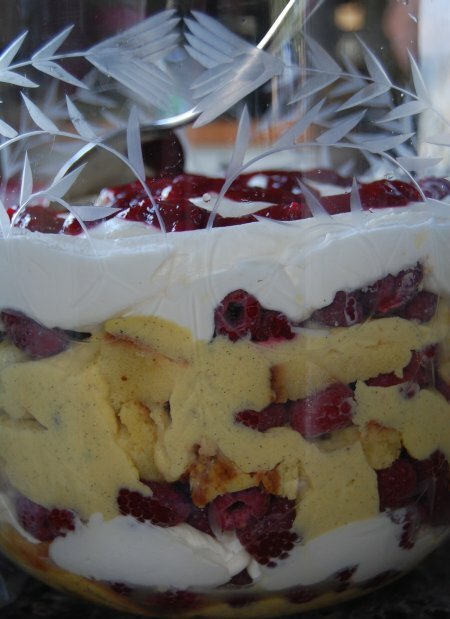 If you aren’t confident enough to wing it à la Jean, BBC Goodfood also has a good Cranachan Trifle recipe worth trying. And that’s what we ate in July. Whew! 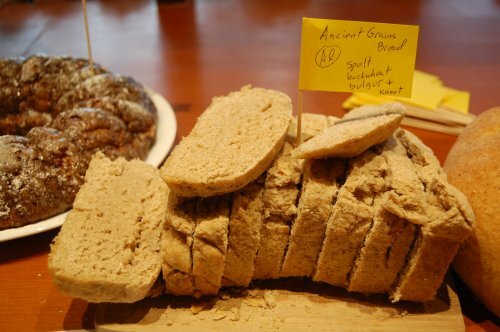 Finally – a follow-up post of ancient grain deliciousness. Also, we made the paper! If you missed it, here we are in all our baking glory. So far I have tried out Lisa’s pizza recipe using a quinoa-based crust, and it was fantastic. 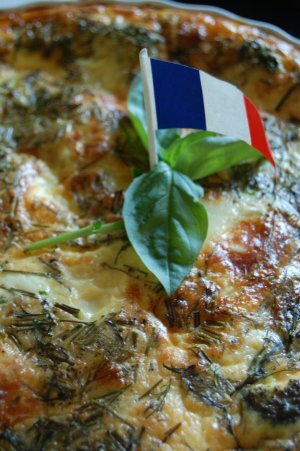 It is now my new pizza recipe for a quick mid-week meal – super filling and very healthy. In this second batch of recipes, there are a few recipes I’m still missing, so you’ll just have to enjoy the photos! 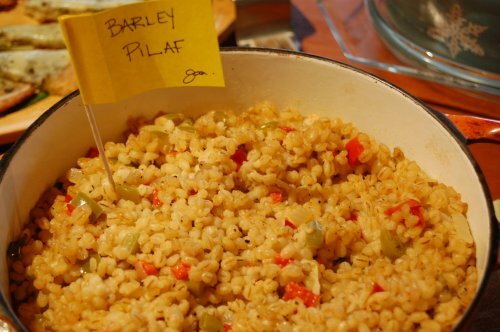 • Put the barley mix in a well-greased casserole dish with a snug fitting lid, or a Dutch oven. *Cook time will depend on your casserole dish; keep the lid on. 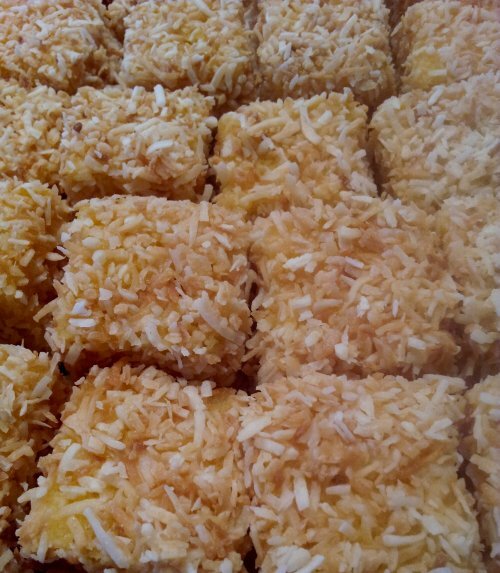 These are named after Jennifer’s colleague Larry (surprise, surprise), who often brings them into work. She substituted ground spelt flour for the regular flour. Cream together until light and fluffy. An electric mixer works wonderfully. Add to creamed mixture and mix well. Scoop onto cookie sheets using a size 30 scoop. Flatten slightly. Bake at 325’F until barely golden brown on the edges. Remove from oven, cool for five minutes then transfer to cooling rack to finish cooling. Freeze. 1/2 cup hemp seeds, 1 cup coconut, 1/4 cup of flax seeds, the rest of your craisins and sunflower seeds (1/4 cup each?) I reduced the flour by 1/2 cup in order to accommodate optionals. Note from Jennifer: Play with the amount of flour if you don’t like the product – too much makes them dry and hard to put out – too little makes them flat and greasy. Form the dough into a ball, drizzle with additional olive oil, and return the dough to the bowl. Cover the bowl with plastic wrap and set aside until doubled in size – about an hour. Knead the dough briefly, then shape it into a ball. Place it, seam-side down, on the prepared baking sheet. Cover with plastic wrap and set aside until doubled in size – about 40 minutes. This is what I followed by added an extra raising at the bowl and plastic wrap stage. The second rising at this stage was about 45 minutes (did not take as long as the first). NOTE: buckwheat, bulgur and kamut flour were all ground freshly from grain in a Blendtec blender. Add water, yeast and honey to bowl and mix. Allow to proof for 5-10 minutes. Add sea salt, lemon juice, oil and gluten to bowl and mix. Add 1 cup Spelt flour to bowl and mix in. Gradually add the rest of all the flours and mix together to form a dough ball. Punch down, put into oiled loaf pan with corn meal sprinkled on bottom (to avoid sticking) and let rise again until dough has topped the pan by about an inch. Before you attempt this recipe, Vanora has compiled some tips for cooking with farro. 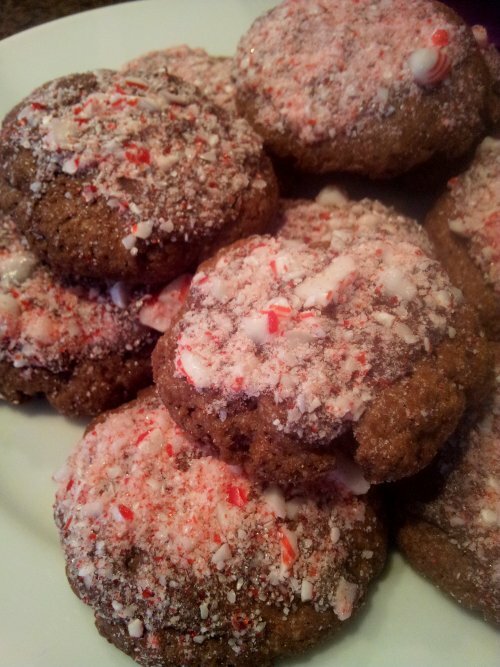 From Vanora: These are a combo between a soft cookie and a muffin top. 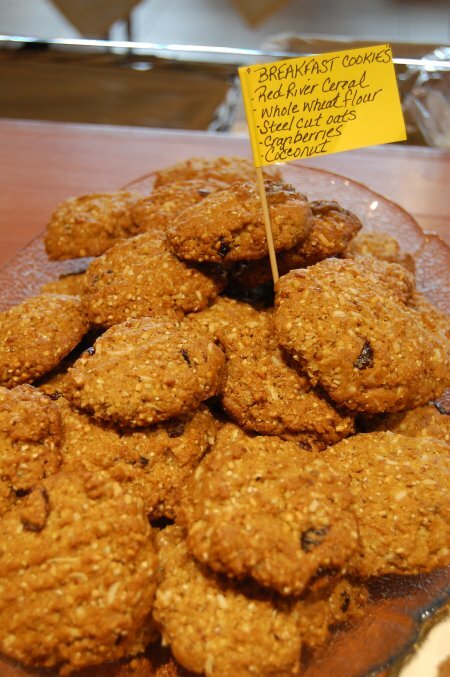 They are sweet, but not too sweet, packed with chocolate chips and farro for a chewy bite. In a small saucepan add the farro and 1 1/2 cups of water and boil for about 20 minutes until cooked. When the farro is cold, heat the oven to 400F. Line 2-3 cookie baking sheets with parchment paper and set aside. In a food processor add the butter, applesauce and sugar and blend for about 2-3 minutes until creamy. Add the baking soda, almond extract and oats and keep pulsing, slowly adding the boiling water through the feeding tube. Turn the food processor off and add the flour. Pulse until just combined. Place the batter into a mixing bowl and add the cooled farro and chocolate chips – with a spatula, fold them in. Using a medium ice-cream scoop, drop cookie dough on the prepared sheets. 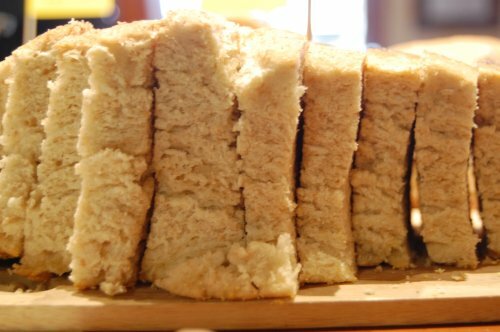 Bake in preheated oven for 10 minutes or until the top is firm to touch and slightly golden. Remove from the oven, leave to cool for a couple of minutes on the baking sheets before placing them to cool completely on wire racks. 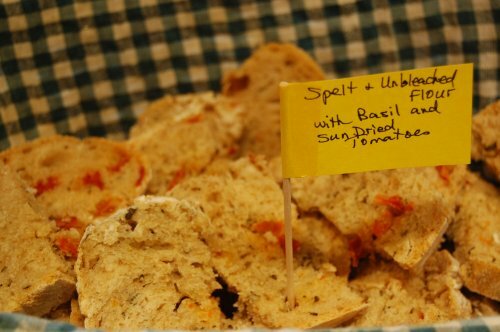 And finally this lovely loaf of spelt and Sundried Tomato Bread, which I loved! We came, we saw, we ate cookies. During this festive season, I think even Santa himself would have been impressed. Several people have been asking for recipes, and here they all are! First, a wee note. 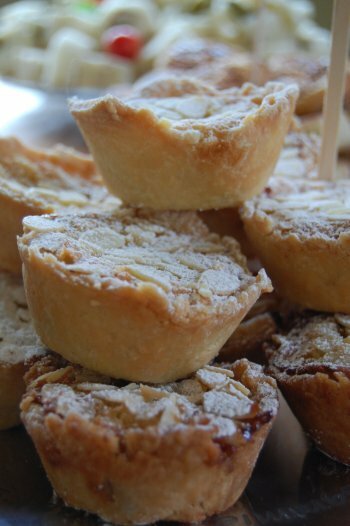 There will be a small break of baking events for a couple of months, but we will return in March with gusto. For those who have been looking for a healthy meetup group, Denise from Summerland Reflexology has started one and there is an event on January 13. Click here for details. All of the cookies would make wonderful holiday gifts. These were particularly pretty. 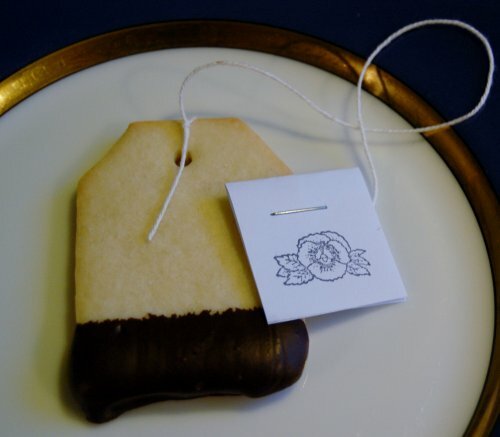 A quaint, delicate afternoon biscuit, perfect with a cup of tea or coffee. Cream butter and sugar until really creamy. In a separate bowl beat eggs, salt and add to cream mixture gradually. Beat in oil and vanilla. Sift dry ingred and add to creamed mixture. Take 1 tsp of dough and roll into a ball and then place 1 inch apart on greased cookie sheet. Flaten with the bottom of a crystal glass rubbed with oil and dipped in colored sugar and press down once. Bake at 350 for 10 – 12 minutes or until light brown. To use cookie cutters or if the dough is too soft, let it sit in fridge for 2 hours or the freezer for 1/2 hour. In a large bowl, beat together butter and cream cheese until well combined. Add sugar and beat until fluffy. Add egg, vanilla and almond extract; beat well. In small bowl, sift together flour and baking powder. 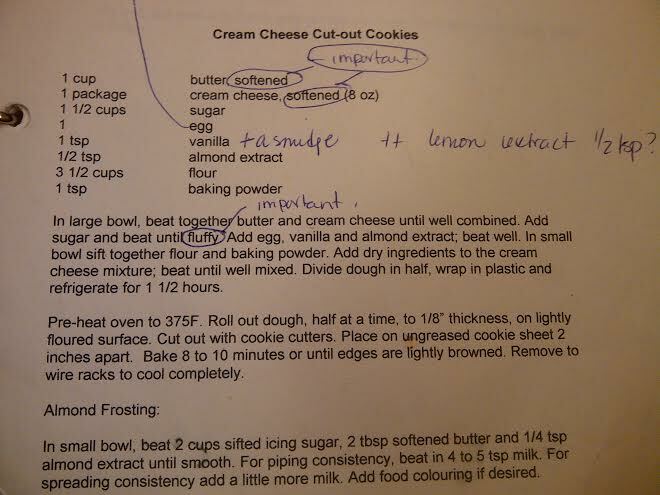 Add dry ingredients to the cream cheese mixture; beat until mixed. 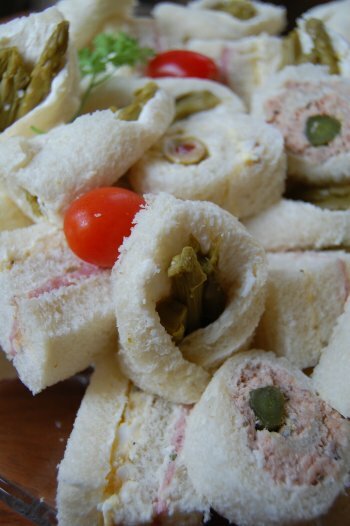 Divide dough in half, wrap in plastic wrap and refrigerate for 1 ½ hours. Pre-heat oven to 375F. Roll out dough, ½ at a time, to 1/8th inch thickness, on lightly floured surface. Cut out with cookie cutter and place on ungreased cookie sheet two inches apart. Bake 8 to 10 minutes or until edges are lightly browned. Remove to wire racks to cool completely. In a small bowl, beat 2 cups sifted icing sugar, 2 Tbsp softened butter and ¼ tsp almond extract until smooth. For piping consistency, beat in 4-5 tsp of milk. For spreading consistency, add a little more milk. Add food colouring if desired. 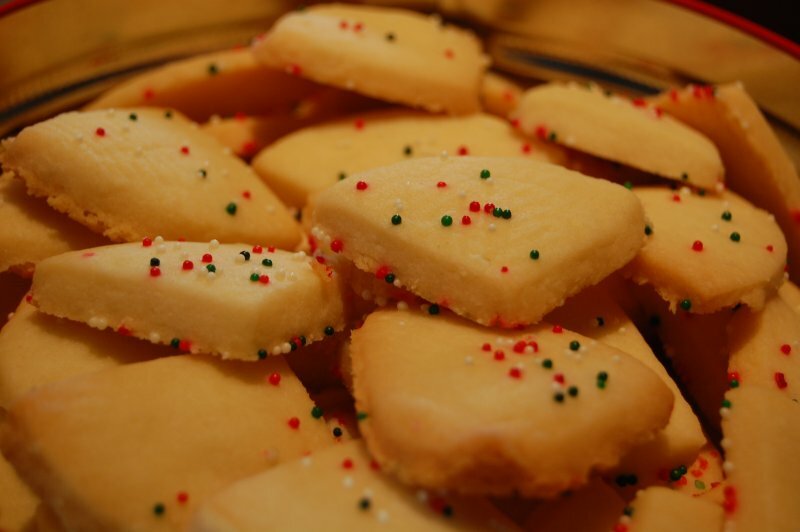 Shortbread is one of those pure comfort bakes. If everything in the world was going wrong, but you had a shortbread biscuit, there would still be hope. Roll out and cut in desired shapes. Bake at 325 for 5-15 mins. until light brown. These are the kind of cookie that you can keep tucked away in the freezer and take out on short notice when you’ve got company ’round, or if you just fancy a cookie, just because. 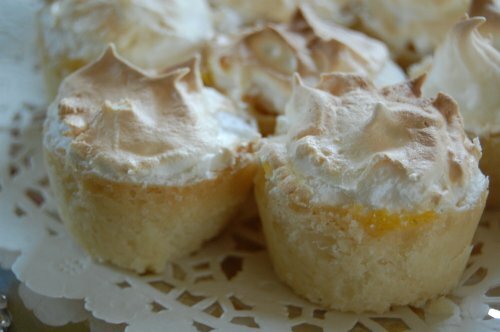 Cream shortening, sugar and eggs till light & fluffy. Sift together dry ingredients and stir into creamed mixture. Drop from spoon 2″ apart on lightly greased cookie sheet. Bake at 400 degrees for about 8 minutes (depending on size sometimes a couple minutes more). Cool slightly and remove from pan. Go on then – say it out loud to yourself. You know you want to. Snicker. Doodle. 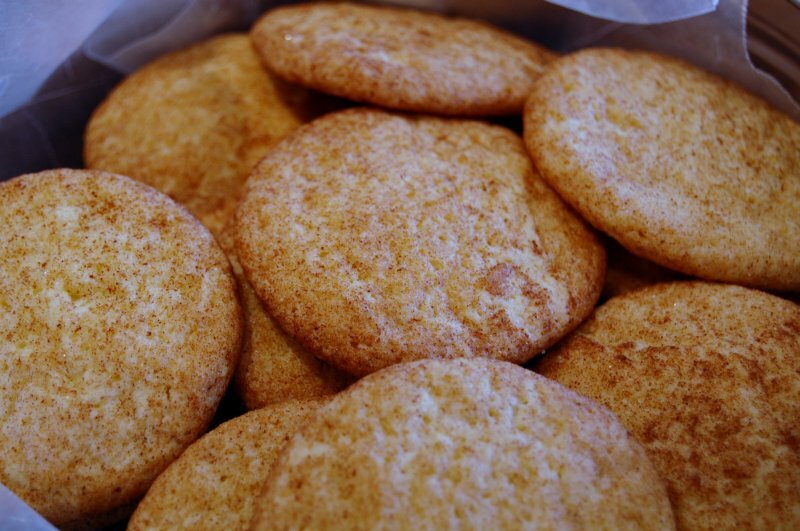 Snickerdoodle. 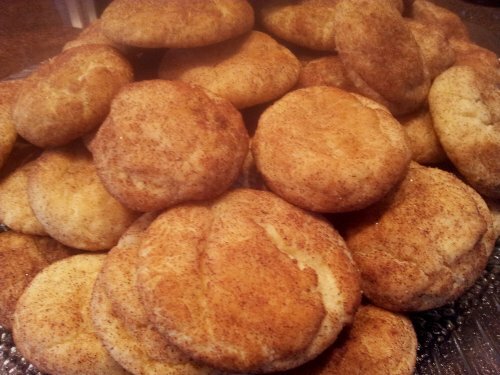 SNICKERDOODLE!!! Yelling it sounds like the war cry of a candy cane army. And they are delicious as well. 1/2 lb. (1 cup) unsalted butter, softened at room temp. Position a rack in the centre of the oven and heat the oven to 350F. In a medium bowl, whisk the flour, baking soda, salt and cream of tartar to blend. Using a stand mixer with a paddle attachment, beat the butter and sugar on medium speed until light and fluffy, about 3 minutes. Scrape the bowl with a rubber spatula. Beat in the eggs until thoroughly combined, about 2 minutes. Scrape the bowl again. With the mixer on low speed, slowly blend in the flour until incorporated, about 30 seconds. In a small bowl, mix the cinnamon and 1/4 cup sugar. 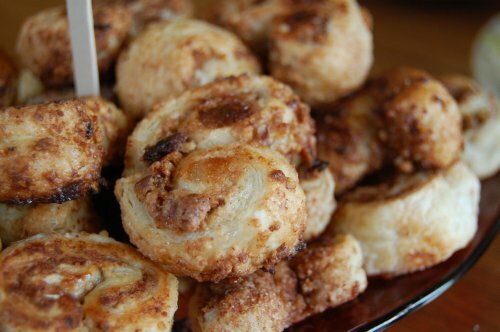 Drop the dough by rounded tablespoonfuls into the cinnamon sugar and roll around to coat. Set the coated balls of dough about 3 inches apart on parchment lined cookie sheets. Bake until golden brown on the edges and slightly soft in the centre, about 15 to 18 minutes. Let the cookies cool on the sheet for 1 minute before transferring them to a rack to cool. 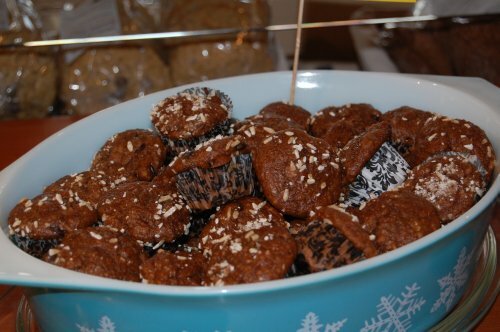 The cookies can be stored in an airtight container for up to 3 days or frozen for a month. Make no mistake – they are rich. Even I couldn’t eat more than one in a sitting, and I love chocolate more than most. Truly decadent, and they look ever so posh if you want to impress your friends and family. Melt 8 oz. chocolate. 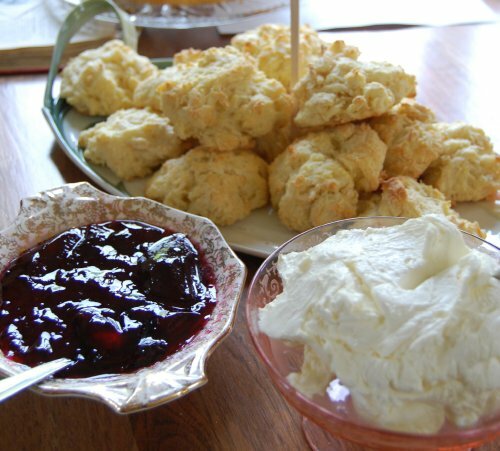 Beat cream cheese with mixer until creamy. Blend in melted chocolate. Refrigerate until firm. Shape into 36 balls. 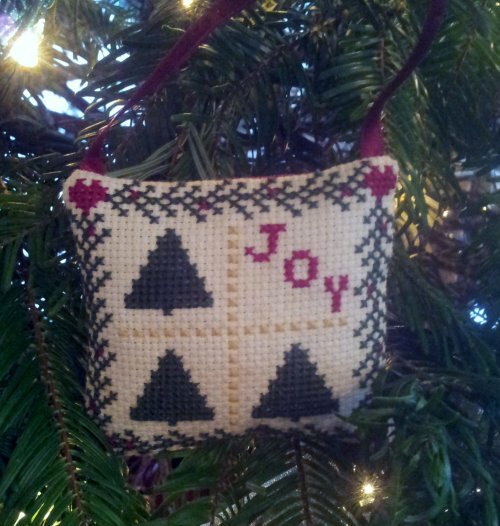 Place on waxed paper-covered baking sheet. Melt remaining chocolate. Use fork to dip truffles in chocolate; return to baking sheet. Decorate, then refrigerate 1 hour. Store in tightly covered container in refrigerator. 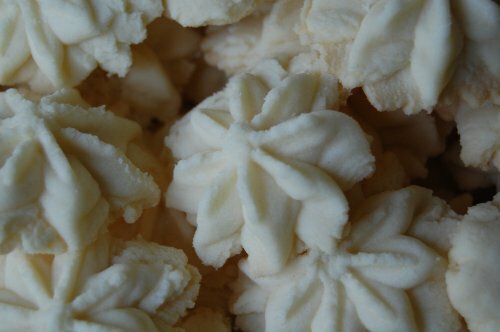 Prepare using white chocolate or bittersweet chocolate. Add 1 to 2 tsp. of your favorite extract, such as peppermint, rum or almond; or 1/4 cup of your favorite liqueur, such as orange or raspberry, to the chocolate mixture before shaping into balls. Place chocolate in microwaveable bowl. Microwave on HIGH 2-1/2 min. or until chocolate is completely melted, stirring every 30 sec.